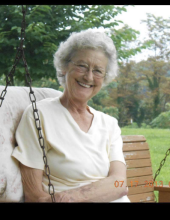 Judith Lee (Davidson) Hundley was born December 3, 1943 in Jackson County and departed this life Wednesday, November 21, 2018 at the Baptist Health Hospital in Lexington, at the age of 74. She was the daughter of Datha Davidson and the late Dewey Davidson. In addition to her mother Judy is also survived by one son, Larry Wayne Norris and wife Paula; two daughters, Donna Sue Sparks and Donnie and Rebecca Joan Moberly and husband Jerry. Judy was blessed with ten grandchildren Amanda Carroll, Ashley Breanna Collins, Ashley Arnold, Nathan Norris, Trenton Sparks, Trevor Sparks, Sarah Simmons, Samantha Sauls, Michell Gresik and Kenny Moberly and fifteen great grandchildren, Gabriel Melcher, Serenity Melcher, Trendon Sparks, Janay Sparks, Alivia Sparks, Kimberly Land, Alex Land, Bryson Carroll, Cambria Harrison, Lane Carroll, Jayce Carroll, Madelyn Arnold, Katheryne Arnold, Natalie Norris and Elijah Norris. Other survivors include five sisters, Patty Templeton, Sandra (Doyle) Williams, Joan (Hershel) Williams, Debbie (Gary) Wellman, Robyn (Randall) York and four brothers, Roger Davidson, Kenny (Joy) Davidson, Stevie (Diane) Davidson, Leon (Janice) Davidson and several nieces and nephews. Other than her father, Judy was also preceded in death by her husband, Ray Hundley and brother, Rickie Davidson. Judy was a member of the Clover Bottom Baptist Church. "Email Address" would like to share the life celebration of Judith Lee (Davidson) Hundley. Click on the "link" to go to share a favorite memory or leave a condolence message for the family.